The TTC is the main public transport provider in Toronto, running a subway system, streetcar lines and bus routes across the city. To make use of the system often involves taking more than one vehicle to get where you’re going, which is why understanding the TTC’s transfer system is helpful to anyone who lives in or is visiting the city. The TTC currently issues two kinds of paper transfer. One is distributed by streetcar and bus drivers, while the other is available through machines inside of subway stations. Although the transfers look a little different, they both work the same way. 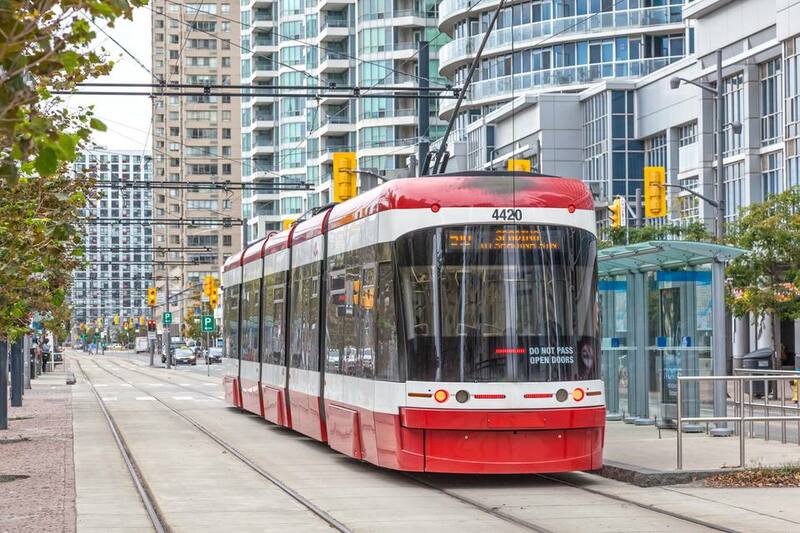 Read on for details on how to get and use a transfer on Toronto’s public transit system. Do You Always Need a TTC Transfer? The paper transfers issued by the TTC are only intended for passengers who are paying by cash, ticket or token. If you’re using a TTC Day Pass, a weekly pass, or a monthly Metropass, you’ll simply show your pass again if you need to change vehicles, rather than showing a transfer. You also don’t need a paper transfer if you are using a PRESTO card. When you tap your PRESTO card against a card reader when getting on a TTC vehicle when you board, your transfer is noted on the card at that time you tap your card. Tip: One of the benefits of using any of the TTC’s passes or a PRESTO card is that you can hop on and off vehicles as much as you like, which you can’t do with a transfer. Even if you have paid by cash, ticket or token, you don’t always need a transfer to move from one TTC vehicle to another. At some TTC subway stations, the connecting buses and streetcars pull into an area which is inside the fare-paid zone. In these cases, the drivers will assume that you’ve either just paid to enter the station or have gotten off another vehicle to transfer onto theirs. However, this isn’t the case at all stations, so until you’re familiar with the route you’re planning on taking, it’s generally better to get a transfer just to be on the safe side. If you are using a PRESTO card to ride the TTC, you now have the advantage of a two-hour transfer. The two-hour transfer is a new feature available to PRESTO card customers only. With this transfer, you can hop on and off of a vehicle and switch directions at any point within two hours of your first tap of the card. The transfer is automatically applied to your PRESTO card the first time you tap onto a bus or streetcar or into a subway station. Each time you tap your card, the reader validates the transfer within that two-hour period. When the two hours run out, you then get charged another fare and the two-hour time frame starts again. These two-hour transfers make it a lot easier to run errands while using the TTC since you can hop on and off with a longer window of time. Just note that this two-hour transfer doesn’t apply if you’re using tickets, tokens or cash. If you start your TTC trip by boarding a vehicle, you’ll need to get a transfer from the driver when you pay your fare. Most TTC bus and streetcar drivers will offer you one of the paper transfers automatically if you pay using a ticket, token or cash. If the driver doesn’t offer, just ask. Remember to get you transfer as you board the vehicle and not when you’re trying to get off. If you start your trip at a TTC station, you won’t get your transfer from a staff member. Instead, you’ll need to use an automated transfer machine. These red boxes, which have a small digital display showing the current time, are positioned just inside station entrances. Push the button and you’ll get a transfer with the current time stamped on it. A Trip-Based System: Most of the TTC runs on a trip-based transfer system. That means you can only use a transfer to help you complete one continuous trip. For example, if your destination is to the north-east, you’re expected to pay your fare to get on a northbound route, get a transfer, get off at a station or intersection where you can switch to an eastbound route, then show your transfer to get on the next eastbound vehicle that comes along. Good for Any Number of Vehicles During That One Trip: You may use a transfer more than once as long as the trip is continuous. For example, if you’re taking a trip that involves taking a streetcar to a subway station then taking the subway to another station to catch a bus, you’ll get a transfer when you get on the streetcar which you’ll show both at the subway collector booth and to the bus driver. No Getting Back on the Same Route: You may NOT use a trip-based transfer to get back on the same route where you got the transfer. This means you can’t get off and spend time in an area before continuing your trip, whether you want to keep going in the same direction or head back the way you came. And even if you are transferring to another route, you may not spend time shopping or doing anything else before you get on the next vehicle. Remember, Get Your Transfer When You Pay Your Fare: You also may NOT use a transfer from a subway station to get on buses outside the same station. You need to get your transfer from the automated machine at the station where you get ON the subway, not where you get off. Walking Transfers: It’s also important to remember that in some cases, two routes may operate near each other but not serve the same intersection and won’t have any stops in common. When this happens, where specifically identified, you can use a paper transfer to transfer between routes at these walking transfer locations. Even if you are taking one continuous trip, you may not use a TTC transfer to board vehicles which are part of other transit systems, such as Mississauga’s MiWay system or York Region Transit (YRT). If you’re traveling into surrounding municipalities, check the specific fare information for public transit options in the Greater Toronto Area (GTA). If you’ll be traveling by both GO Transit (Government of Ontario Transit) and the TTC, learn about the fare options for riders who are using both systems.